"Grow!" is the platform to support Publishers who create the contents what you like. You can support them financially, and share it with your friends. "Grow!" is the platform to be supported by your fans, and spread your contents to the world. You can get "Grow!" 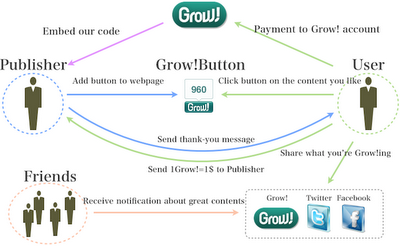 to embed "Grow! Button" on your website.